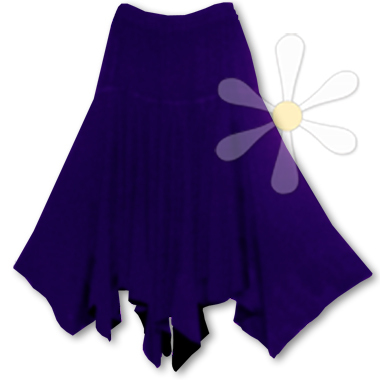 Our best-selling handkerchief skirt for its wild and wonderful shape... to say it swings is an understatement: From the hip-seam down it's one undulating petal hemline that dances in beautiful rhythms as you walk, turning an ordinary day into a magical event! Like all of our garments, it's indescribably soft and comfortable, impeccably constructed. Be yourself -- be extraordinary every day!